If you want your marketing to work, you have to focus. You have to understand who your message is for, then speak to that person. And you have to craft your offers to serve that person. Present options that appeal to her, that are in line with what she’s willing to spend, and that will benefit her in ways she cares about. In other words … you need to specialize. You don’t have the budget to blanket the earth in ads that appeal to everyone, and neither do I. One of the first things people do when thinking about building a business online is rush to identify their “niche.” And that isn’t wrong … but it’s more complicated than it might seem at first. 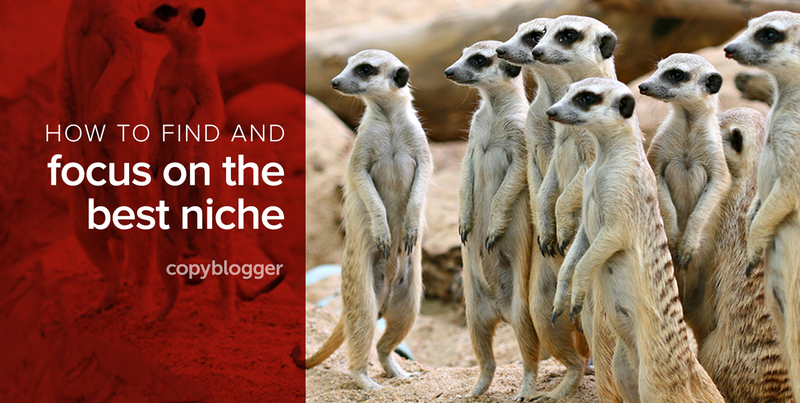 The word niche doesn’t just mean a focused topic. In biology, niche refers to how each type of organism interacts with all the other organisms in its ecosystem. It’s how a plant or animal fits into the larger context. Your topic is part of your niche, of course. But so is your audience. And your positioning. Not to mention your potential partners. And the folks who share your content. And the content platforms you publish on. A conversation in the comments here on Copyblogger got me thinking about some of the different ways that business owners inhabit their niches. Back in the day, creating a “niche website” meant building a compact site around an under-served keyword phrase, pulling out all the SEO stops to get it to rank, then loading it up with affiliate offers. That was tidy, and some did very well with it, but it doesn’t work today. Rae Hoffman nailed it years ago, in a post that’s still highly relevant on how to survive the affiliate evolution. Her post talked about moving toward richer and better content, a better user experience, communicating quality (to both visitors and potential partners), and establishing a credible point of difference. The problem with the old way of thinking about nicheing is that it focuses on the search, not the searcher. The keyword phrase is the focus, rather than the human being at the keyboard who’s using that phrase to solve a problem. So, I’d like to look at some more effective models. Let’s take a topic like learning art. 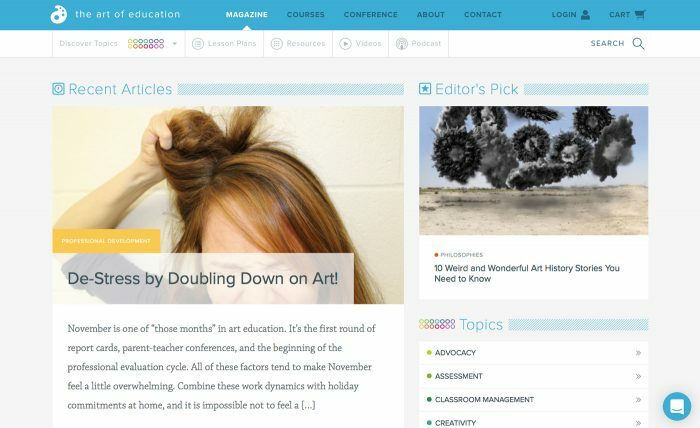 There’s an astonishing amount of free art education on the web, particularly YouTube. You can learn to sketch, paint, sculpt — whatever floats your boat. It’s tough to make a living teaching art online. But there are many businesses that do exactly that. How? By defining their audiences clearly, focusing their messages and offers, and differentiating themselves. Finding that point of difference. Keep in mind that art education is a nonzero market. In other words, people interested in learning more about art don’t just watch one video, read one ebook, or join one membership site. They tend to immerse themselves, especially early on in their journeys. Now let’s take a look at four examples of sites that are doing it well. One way to differentiate is simply to be bigger and more comprehensive than anyone else. Simply, in this case, doesn’t mean easily. 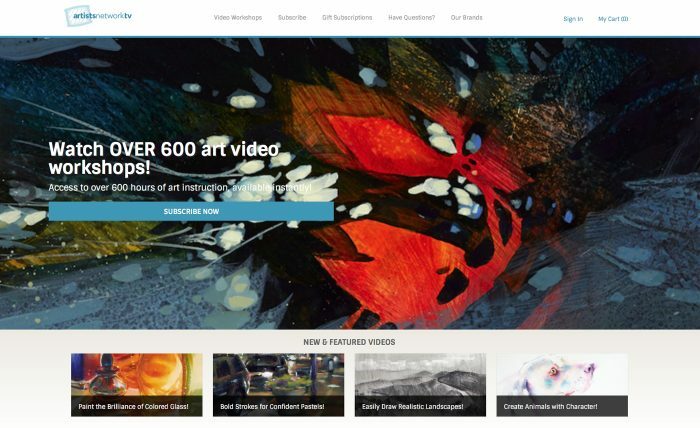 The site ArtistsNetwork.tv brings dozens of well-known artists and art teachers under one virtual roof, partnering with big publishers of art books to give authors a venue to teach. If you’re the kind of person who has “How to Paint” books on your bookshelf, it’s a good bet that some of those authors have courses on ArtistsNetwork.tv. The model is: find ultra qualified authorities, publish excellent tutorial content that’s interesting and useful, then use the publishing platform to offer more advanced content at an additional fee. Of course, there are also individual mega authorities. We all know the name Bob Ross, the “happy little trees” painter whose videos were so weirdly soothing to watch. Ross actually modeled his painting and his patter on the “happy trees” of his mentor, Bill Alexander, who had a PBS show that I fondly remember watching as a child. Alexander’s family still runs art courses that you can pick up online and also offers supplies, books, and a free membership library. Authorities can compete with the huge volume of “free” in this topic because they’re … authorities. Art instruction has the advantage of providing exceptionally appealing content that audiences can see and say, “I want to know how to do that.” These teachers demonstrate superior mastery of their subjects. They’ve won awards and written books, but most importantly, they know how to teach what we want to do. Over on Twitter a couple of weeks ago, Derek Balsley brought my attention to the site The Art of Education. They’ve partnered with an accredited college to focus on professional development for a very well-defined group of artists — art teachers. The Art of Education offers courses for graduate or undergraduate credit, as well as satisfying ongoing education requirements for teachers. The courses are priced to be highly competitive with courses offered at brick-and-mortar institutions. So even though art teachers aren’t known for their deep pockets, the product makes sense financially for its audience. Like the other models, The Art of Education offers free authoritative content as well, producing shareable, relevant material that attracts the attention of the customers their business needs. If you can create content at the right quality, professional development is always a smart play. It’s highly marketable, because it’s something professionals need in order to advance their careers — especially those who need ongoing education to keep their licenses. For content marketers who make the commitment to the work, it can be a great model. Another serious authority in art education is Bob Davies — a wry, soft-spoken watercolor teacher who built a following on YouTube, then sold his home-filmed DVD series in massive numbers. Bob and his son Phil founded an art education website similar to ArtistsNetwork.tv — with one key difference that they don’t actually mention in their marketing. Davies is British. Specifically, Davies is Northern, with a Welsh background. My top analyst for British accents figures him for northwest England, probably somewhere near Liverpool. Davies’s accent, his delivery, his self-deprecation, and his sense of humor all quietly point back to a strong sense of identity … something Robert Cialdini would identify as Unity. Bob and Phil run a site called ArtTutor.com. It’s not as big as ArtistsNetwork.tv, but it’s got a much more cohesive identity. 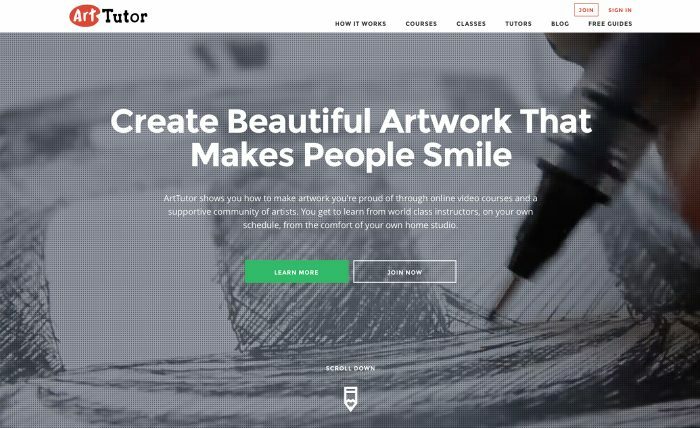 And beyond a question of accents or subject matter for paintings, there’s a point of view that’s highly consistent on ArtTutor — among the founders, the teachers, and the member comments in their forums. It comes back to that personality of Bob’s … understated, self-deprecating, a bit dry. I don’t think it’s about geography. It’s about a particular set of outlooks, attitudes, and expressions that art lovers from Northern Britain tend to share. ArtTutor’s marketing doesn’t say, “This is the art education site for Northern British painters and sketch artists.” They don’t have to. The identity gently infuses the content — both free and paid — in an appealing way. Although it can be strategic to chase away the ones who aren’t part of your “tribe,” in this case it’s not necessary. The cohesion of group unity makes the site attractive to paying students from all over the world. If they tried to become more international — if they tried to go head to head with a site like ArtistsNetwork.tv — I think they’d fail. Their site would lose its individual personality and flavor — and personality is crucial if you want to stand out and you aren’t the biggest on the block. The sites I’ve mentioned have all been big. Well-known teachers, lots of content, lots of money and time to set up. But big isn’t the only way to go. Artist Eni Oken has niched down her topic in multiple ways. She’s a certified Zentangle teacher — a form of meditative drawing that is a tribe unto itself. But even within that specific niche, Eni narrows down her focus to specific subtopics, like shading drawings or specific compositional approaches. Eni runs a popular group on Facebook, where she invests a lot of time and energy. 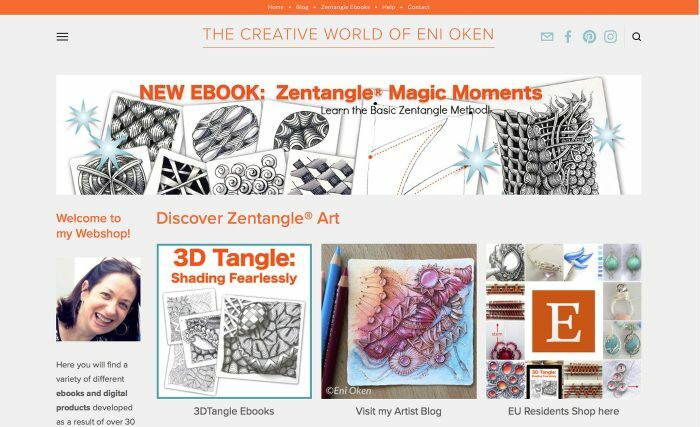 She’s also smart about SEO and ranks for some keyword terms for popular drawing techniques within the Zentangle format. She funnels her audience attention into an email list to promote her library of ebooks and keeps her eye on the promotion prize with consistent calls to action. There’s plenty of beautiful art to look at in her content, but you’re never in doubt that she has a business, either. When you’re willing to make yourself a “star” of your business, differentiation becomes fairly simple. You don’t have to build your whole business around your personality — that doesn’t have to be your only differentiator. But for those who are willing, adding an element of individual personality — a founder’s newsletter, a blog, a podcast, a vlog — can make a winning difference. What kind of niche do you occupy in your ecosystem? What’s your topic? How do you approach it? Who do you serve? And what makes you different from the other options? Next article: Have You Already Missed the Podcasting Gold Rush? Just by being the latest person to writea solid article about “Calls to Action” you have a shot at Google “auditioning” your content with a high ranking. Facebook and Twitter also have a bias for new. Being the latest thing people see in their streams is powerful. Of course, “new” wears off, and fast. But it’s just enough time for you to figure out which of the other 4 ways you should niche yourself going forward. Very interesting write up on how the dynamics of online niches have changed. In today’s online market you have to think more about your targeted audience. How can you say that doesn’t work today, and what’s your rationale behind this particular statement? That’s not my personal experience, and as an individual and business have a large portfolio of websites already working, and more in progress that do exactly this. Is it your own research or just comments others have made on social media that made you state that? I just don’t believe it’s true that this strategy doesn’t work anymore and have multiple examples of it doing so. It’s ferociously hard to rank for any remotely competitive keyword without a more robust content strategy than this. If the keyword is long-tail enough, it’s easier … but typically that means there’s also less opportunity for revenue. If it’s working for you, I wish you well with it, but I don’t recommend it to anyone starting today. Not to say it can’t work, but I’ve seen a lot of attempts crash and burn. What i want to ask is, if we create a free content how do we know what we create is good for our audience? What will be the judgement for it? I have create something that has a lot of viewer but less shared or none at all, how to deal with that kind of situation? If you’re not getting shares or other reactions, it sounds like it’s not working well for your audience. Find some members of the audience you want to serve and get to know them better. Your content might be thin or generic, or it may not be solving a problem that your audience cares much about. It seems that often the audience is the last thing that is taken into consideration. However, figuring out who your audience is should really be one of the first steps in creating a niche site or blog. I especially like how you bring the biology definition of niche into the post. You can’t really make anything work in any business until you truly understand who you serve and how you serve them. I don’t fault any business for focusing on revenue models — we’re in business to bring revenue in, and that’s totally great. But you have to keep that balance, always. The audience is where all the good stuff comes from. Useful, brilliant, and inspiring as always. Special thanks for the art. We all need that joy of creativity and the calm of Bob Ross (and yes, I too loved Bill Alexander. Bavarian accent???) these days.